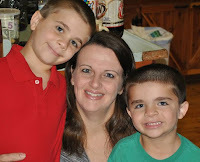 This week I have the pleasure to introduce you to Kentucky Farm Girl, who writes My Country Blog of This and That. 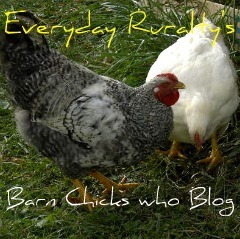 I visited her blog after seeing her on Chickens in the Road. She kindly helped me navigate adding a feature to my sidebar. I always enjoy stopping by her blog. She has a variety of animals, a beautiful log cabin, two adorable sons, and lots of interesting posts on crafts and cooking. I have traveled throughout the United States, but I have never been to Kentucky. 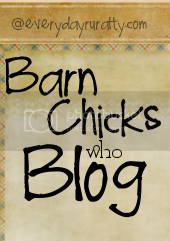 Visiting Kentucky Farm Girl's Blog is a fun experience for me. I have been following her since I started to blog and each visit is an enjoyable one. Here is my interview. 1. Please tell me about your farm. We live on a 20-acre farm in Western Kentucky. It's on a dead end road in the middle of the woods and we love it. 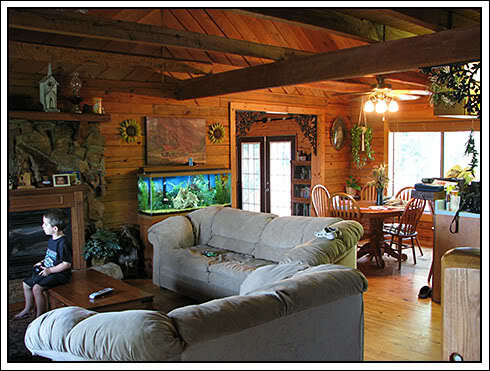 We have a log home, a barn, a pond, open fields, and about 7-acres of woods. It's just the perfect size for our family and farm animals. It's only a mile and a half from where I grew up and a lot of my family including my mom and dad still live in this area. 1 miniature donkey, 5 goats, about 40 chickens,4 guineas, 3 geese, 3 dogs, 3 cats, 2 rats, and goldfish (I think that's it). 3. How do you come up with names for your animals? My sons name a lot of them. After being around an animal for a little while some names just click. Our bassett hounds are named Biscuit and Bessie and those names just sort of popped into my head the day we got them and they fit perfectly. 4. You have the most beautiful log cabin. Please tell us about it. Did you build it yourself? We found this house 3 years ago. We had been looking for a small farm to move to. We lived in a small subdivision in town and wanted more room for our boys to run! We had been looking for quite a while and had sort of given up when we happened to see this house and 20- acres on a local real estate site. I knew the house and the land because it was about a mile and a half from my mom and dad's and the farm where I grew up. We drove out here that night, met with the real estate agent the next night and told him we wanted to buy it as soon as possible! 5. Do you and/ or your husband have any prior farm experience? My husband was a city boy through and through when I met him. I took care of that:) He now drives a tractor, hunts and hauls hay and loves every minute of it! I grew up on a farm. My mom and dad still live there so we can cut through the woods and go visit any time we want to. We raised horses, cattle, hogs, chickens, ducks and had cats and dogs while I was growing up. My favorite memories are of my mom waking me up in the middle of the night to go check the sows that were delivering. I loved the smell of the hay warmed by the heat lamps and watching all those wiggling babies being born. 6. You mentioned that your grandmother taught you how to cook and gave you a love of animals. Please tell us about special times with her that might have led you to live the way you do now. I could write a book about my grandmother (my Dad's mom)! 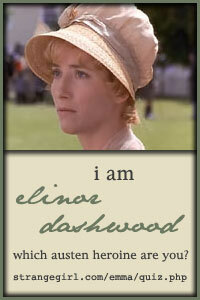 I loved her with all my heart. She was my best friend and taught me so many things. 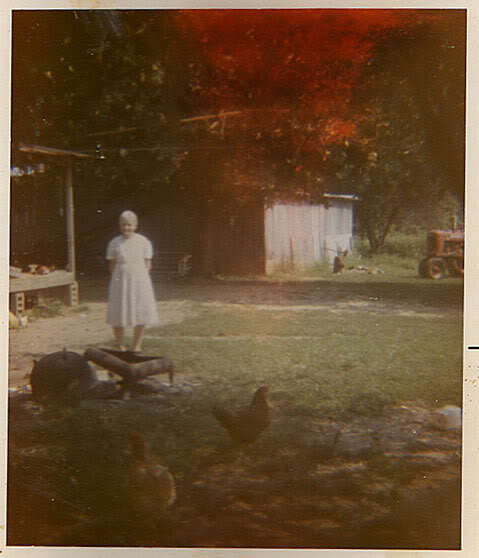 She taught me to cook on a little wood stove in her kitchen in a tiny little cast iron skillet. The first she taught me to cook was scrambled eggs and then taught me how to make homemade biscuits. I remember sitting on her flour barrel in the corner rolling out the dough for biscuits while she shuffled around in her apron making me chocolate gravy! She had chickens, cats, turkeys, dogs, cows, etc. 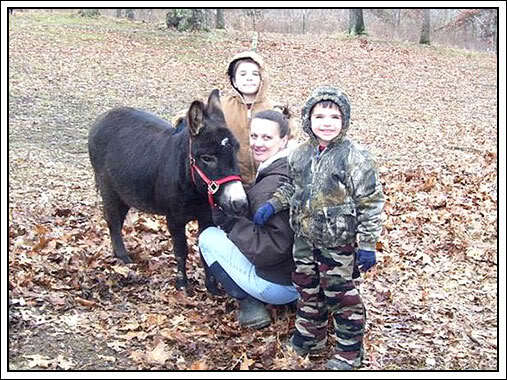 She loved being outside gardening and taking care of her animals. I never forgot the fiasco we went through the day she tried to teach me how to wring the head off a chicken. I made it halfway through, started crying and let the chicken go. She laughed and laughed, then caught the chicken and finished the job. She passed away when I was 10 years old. She was the first person I had ever lost in my life and I thought my heart would never heal. I still miss her and think of her with a smile when I sift flour with a sifter that has a red knob just like hers did. I blame that completely on Suzanne of Chickens int he Road and Cindy from My Simplified Life. They made it look like so much fun and I quickly became addicted. I also remember my grandmother making lye soap in her kitchen and that made me want to try it even more. 8. You have a wonderful tutorial on lighted glass blocks. How long have you done this? What other crafts do you do? 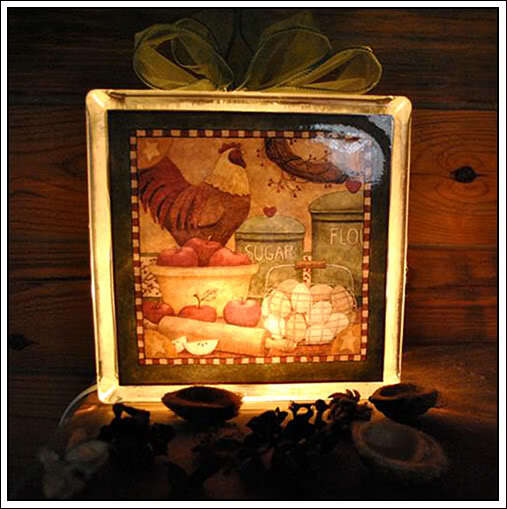 I started making the glass light blocks for Christmas in 2003. I made and sold over 100 of them. I had seen some online using Christmas lights and I had one that a friend had given me. I didn't like the fact that if the string of Christmas lights went out it was almost impossible to replace them, so that's when I came up with the light cord with switch and replaceable bulb idea. Christmas blocks quickly turned into night lights for children's rooms and personalized blocks for friends with their kids' and pets' pictures. I still do them from time to time but my life is so full of animals, kids, and jobs that I rarely have time! I also make soap and have recently started making candles. I am also open to trying new crafts and finding new ideas to improve ones I have done in the past. 9. 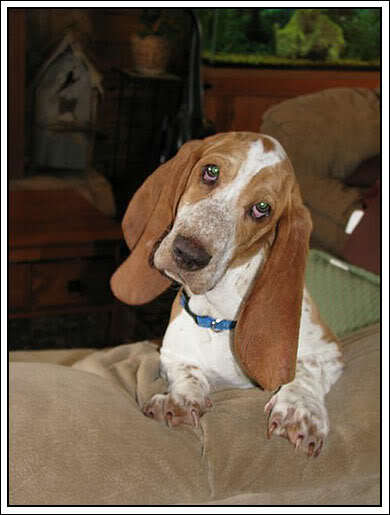 I used to work for someone with Bassett Hounds and I can truly say they were characters. Are Biscuit and Bessie comedians? Oh my, yet another book I could write. These two are brother and sister and they are as different as night and day. Biscuit is twice her size and playful. He can be smart when he wants to, but he doesn't show it very often! 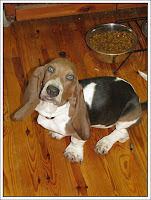 Bessie, on the other hand, is smart, small, and lazy. I call her grandma just because it takes her 5 minutes to get up the steps and into the house. You would think she was 15 years old instead of 1! She totally has her way with Biscuit though. She is usually lying on both pillows, chewing on both bones and eating from both bowls while he stands looking at her with those sad, sad eyes! She definitely rules the roost! 10. Please tell me what impact being raised on a farm has had for your two adorable sons. My boys are farm boys and they love it! They go to the farm with me every chance they get and now that we have the donkey, they are out there even more. Both of them are learning to hunt and they both love to fish. One is usually gathering eggs while the other is passing out hay. I love that they can go out their back door and into the woods to play for hours...they build forts, fight enemies, chase squirrels, and dig for worms. All the things I (and my sister and 2 brothers) did while we were growing up. Don't get me wrong though, they both love their video games as well! 11. Am I correct that you can, freeze, dehydrate, and garden? Are you going "green" too? What things are you doing to be greener? 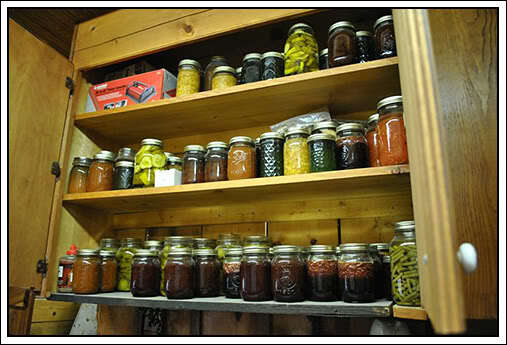 I have a large garden each year and do can and freeze all I can. We also have started a small orchard with peach, cherry, apple, pear, and plum trees. My husband is the dehydrator around here. He loves cinnamon apple rings that he dehydrates each year and snacks on through the winter. He also dries several different types of herbs from my small herb garden. As far as going green,I dry my clothes on the clothes line during the summer, changed out to the energy efficient light bulbs, and use a low flow shower head. These are small things that can be implemented and they all save money. 12.What's in the future for your farm? I would like to find more ways to go green. I am looking for a Jenny to go with our miniature Jack. I would love to have a baby donkey! 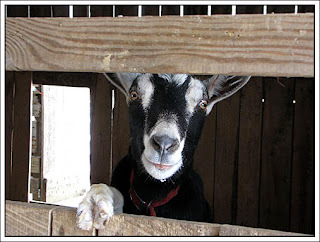 All our goat does are bred, so we are waiting for babies in spring. We have some fencing that needs to be done. I would like to plant even more fruit trees, grape vines, etc. I plan on milking my dairy goat again after she kids this spring. 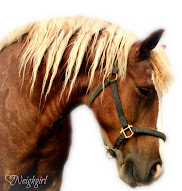 I have also hinted around that a cow would be nice and when the boys get older, I would love to have horses. Riding is one of the things I miss from growing up, but right now my plate is so full I know I wouldn't have time to enjoy it to its fullest! Maybe when things slow down a bit, if that ever happens on a farm! 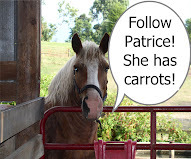 A big thanks to Kentucky Farm Girl for sharing her farm life with us! What a lovely home! Its so nice to meet new folks! Thanks for introducing us to a great blog. Her cabin is beautiful although I don't know about having pet rats?!?!? Love question and answer posts! They sound like a fun family! Great interview! Her story about her grandmother made me instantly think of mine and all the memories we shared. I am going over to follow! 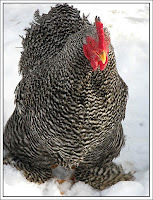 KFG was one of the first farm blogs I started following - also found her from Chickens in the Road. Great interview of this wonderful lady and her farm full! Your blog is truly a breath of fresh air! I grew up on a farm too.I still have agarden every year and would miss it if I couldn't crawl around in the dirt! Hello everyone! 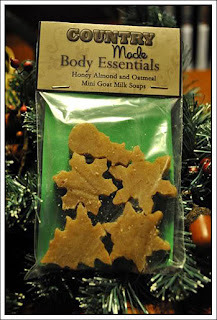 Thank you so much for the compliments and thank you Patrice for featuring my life on your wonderful blog! I've been at work all day just waiting to get home and see the post!! I had fun doing the interview. Everyone is welcome to come on over and visit/follow/join in on the forum. I am off work tomorrow and I plan on doing a craft post and then hosting a Valentine's giveaway later this week. I look forward to checking out my new followers blogs as well! What a fun interview. I love the pics of her log cabin. We have a log home on acreage too, so I'm partial to them. 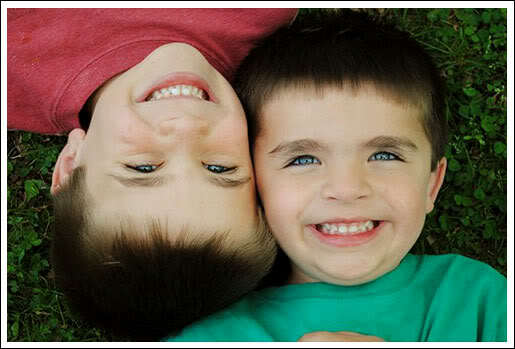 It's nice to see another farm mom who mirrors my own life so much - two young boys on a farm is so much fun. If only I could cook like she can! I was especially touched by KFG's memories of her grandma. I never knew my grandmas and my kids haven't known theirs very well either.